We climbed paths, and even in our weakened condition we climbed mountains. 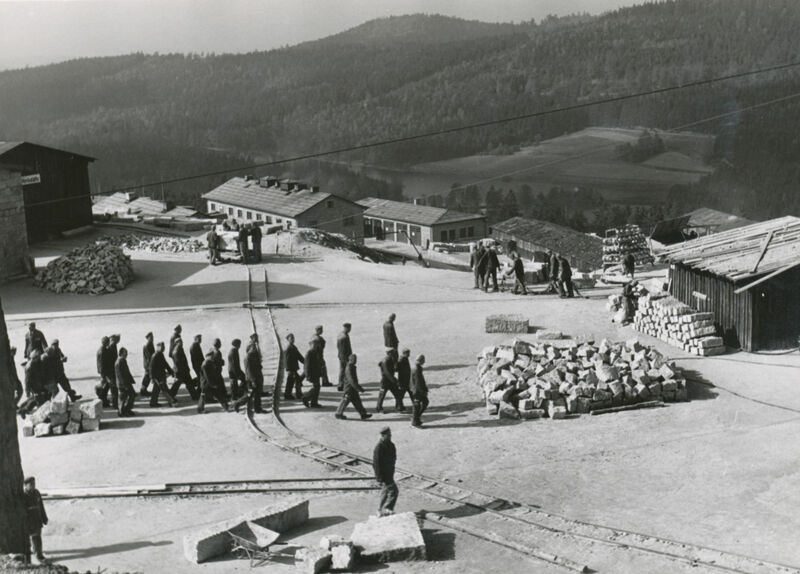 Flossenbürg, located at the present-day Czechoslovakian border, was chosen for several reasons as the location for the concentration camp. One reason was the presence of great quantities of granite in this area and the availability of a railroad that could be used for transporting granite and also for bringing in prisoners, troops, and equipment. The area of the principal camp was small, but it counted 100 sub-camps with 6 to 6,000 people per camp. Those sub-camps were spread over Bavaria, Saxony, and Bohemia.